Richie Porte will make his return to racing on Saturday (25 August) as he headlines BMC Racing Team’s strong and well-rounded Vuelta a España roster. Sports Director Jackson Stewart said that Porte will be joined on the start line for the third and final Grand Tour of the year by a team that brings a wealth of experience and talent to the race. “I think we will start the Vuelta a España with a focused and well-rounded roster and myself and Klaas Lodewyck are both very motivated about going into the race with such a high caliber team. For Porte, this is his first race back after his crash so at first, we will need to see how he is feeling. But, I believe he will only grow stronger the further into the race we get so, initially we will try to focus on several stages in particular and from there, we will watch how the General Classification develops,” Stewart explained. 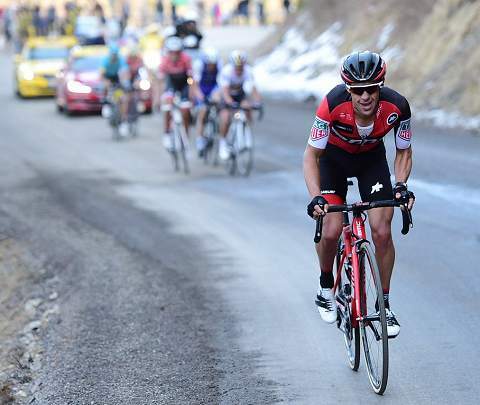 Porte, who will be racing at the Vuelta a España for only the second time in his career, set himself the target of lining up at the three-week race after disappointingly crashing out of the Tour de France. “Of course, I would like to do well in my last Grand Tour for BMC Racing Team but you never know where your form is when you haven’t had an ideal run into a race. After crashing out of the Tour de France, I had to have some time off and it took me a while to get back to work due to my injuries. I have put in some good training since then but I won’t be lining up in the shape I was in before the Tour de France,” Porte said.